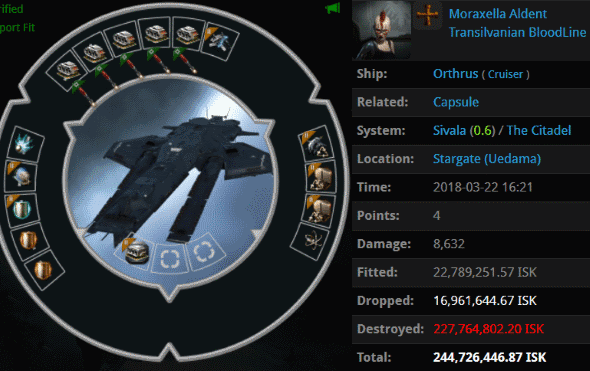 Though autopiloting shuttles and pods have been hunted almost to extinction, the New Order still has a robust community of Thrasher pilots who roam from gate to gate. Thrashers also gank other small targets, such as this Garmur-class frigate. 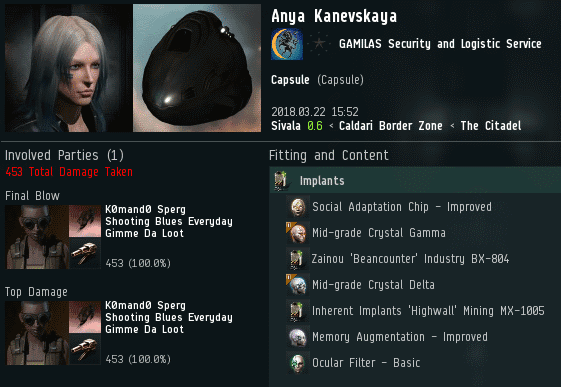 Agent K0mand0 Sperg received a puzzled EVEmail from Moraxella Aldent, the Garmur pilot. She'd apparently been AFK for the past two hours, and she was unable to understand how she could've lost a ship. Moraxella demanded to know what motivated K0mand0's gank. She told her. In contrast to all the miners and carebears who say, "I'm not really a miner" or "My real character is on another account," our Agents are totally transparent about who they are and what they do. Moraxella denied knowing about the Code or the Saviour of Highsec. At the mention of my name, the carebear showed her true face--and it was a vulgar one. And yet, Moraxella's question was one that many unenlightened EVE players ask. The question is not "Who is James?" precisely, since almost everyone in the game has heard of me. They want to know what I'm about. They want to understand my essential nature. The answer is a simple, if indirect one. To know me, one need only look upon my Agents and observe their actions. 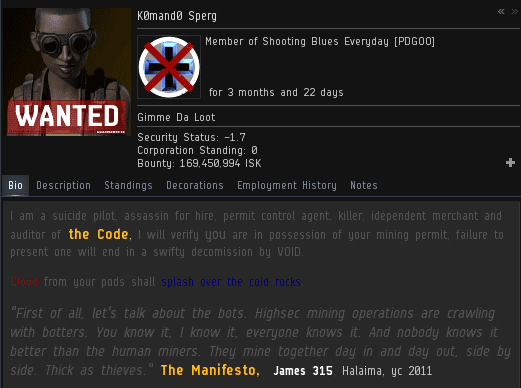 The next day, Agent K0mand0 once again displayed the nature of the Saviour of Highsec by putting the Code to practice. 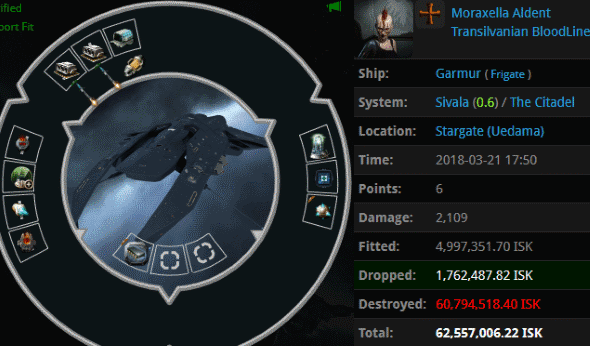 This time, K0mand0 ganked a Leopard and the 619 million isk pod it was carrying. It's always nice to see another Leopard get eliminated. K0mand0 celebrated the kill by praising me in local. By chance, Moraxella was in the same system. Hearing my name triggered the carebear again. But this encounter between K0mand0 and Moraxella would be different. As is typical for gankers who use Thrashers, K0mand0 had been blapped by stargate sentry guns almost immediately after killing her target. She didn't have time to notice that Moraxella had used an Orthrus to take a shot at her. Of course, Moraxella did too little damage to make a difference, but it enabled her to get on the sentry guns' killmail. K0mand0 realized that Moraxella was motivated by a desire for revenge. Instead of autopiloting in a frigate, the rebel was camping gates in an Orthrus and trying--but failing--to make a difference. Moraxella's heart was pumping now. She was so excited about getting on an NPC's killmail that she slipped into another language. On the one hand, it was good that Moraxella was at least attempting to play EVE now, rather than merely AFK autopiloting all day. On the other hand, she was a rebel--one who hadn't learned her lesson. She left her Orthrus idling by the stargate. ...Where it was promptly ganked by K0mand0 and some friends from the mighty CODE. alliance. The carebear can't really complain, though. She wanted to know who I was, after all. Snuggly status at 98% and rising. The rebels are very highly skilled, in some ways. After being ganked by Officers of the New Order, they display the ability to think in one language and type in several others. Or perhaps their impotent fury causes their fingers to execute random fevered keyboard strokes, any group of which occasionally coincides with a word or words in one of the world's ~7k spoken languages.. I'm a great believer that highsec miners must be forced into becoming good citizens via ongoing, systematic punishment over prolonged periods of time. The only viable way to communicate with them is to incinerate their ships, take away their assets, and then command them in local to stop feeling angry and to start praising James. You can't fix them. I mean, just look at every rebel ever that "converted" only to act like a shitter at the first sign of adversity, even salah. Zero self control, and it seems to be bred into them. Just kill them till they go back to whatever themepark they came from. We don't need them. Just made my first billion isk for the month of April, all mining in various high security systems. Baseball season has started so watching games while mining is a great way to pass the time and relax. None of Jamey's CHODE. slaves to be found. They truly are irrelevant to the vast majority of EO players. Someone needs to challenge CODE in lowsec and become true leaders who protect the people there and not punish them for living their lives in EvE. Whoever does that will be the true Savior of Highsec. Although, I sometimes don't mind CODE pushing people out of highsec so I can have fresh meat in low/nullsec. 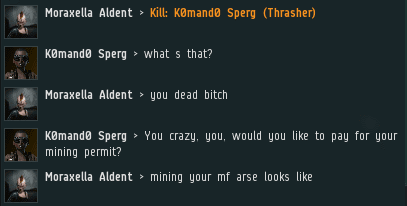 Have seen your kb and recent feature on this site where you make the standard impotent threats that every other highsec shitter makes after failing at basic EVE. You are the prey here friend. Bottom of the EVE foodchain. You should go back to your starter system, for your own safety. Don't forget to pick up your permit when you go througb Uedama. Apparently you missed the "Law of HISEC' part of the Code. Moron. PS So where are you at in Lowsec/null, tough guy? Oh that's right, YOU AREN'T. Be seeing you ingame, tough guy. Yo Ray! When's Brave coming to invade highsec and deal with the New Order? There is nothing quite as sweet as seeing an uppity carebear shitter get ganked after bragging about whoring on an NPC killmail. I wonder how bad he raged after that second gank.... shardani comes to mind. That garmur fit. Why, WHY? Ah, the common denizens of Highsec showing off their elite NPC-whoring fitting skills. That Orthrus is in a better place now, thank James for that!